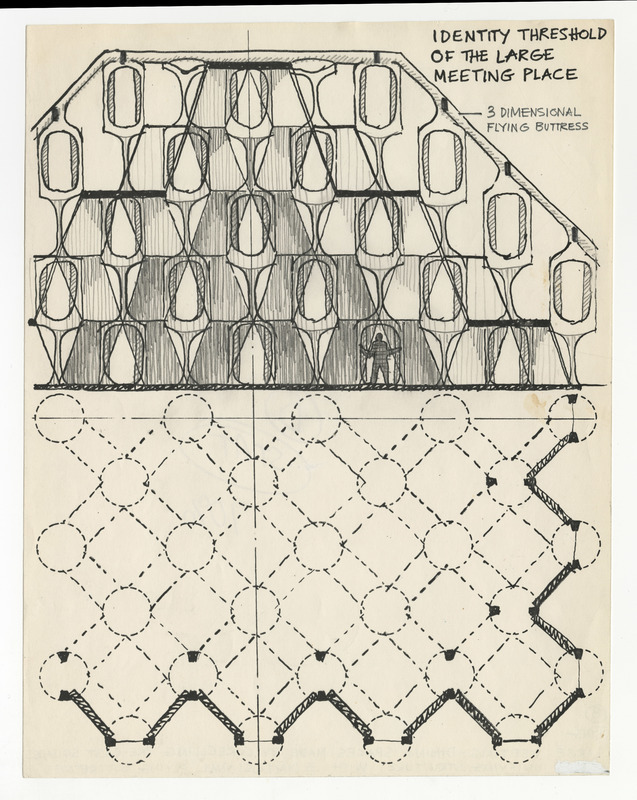 Ink sketch by Anne Tyng, entitled “Identity Threshold of the Large Meeting Place.” Drawing notes 3 dimensional flying buttresses as a design feature. Description on back reads “Large meeting-dining spaces made by corbelling pre-cast squares and unifying structure with 3 dimensional flying buttresses. Permission to publish material from the Anne Griswold Tyng Architectural Collection must be obtained from Special Collections, Virginia Tech. 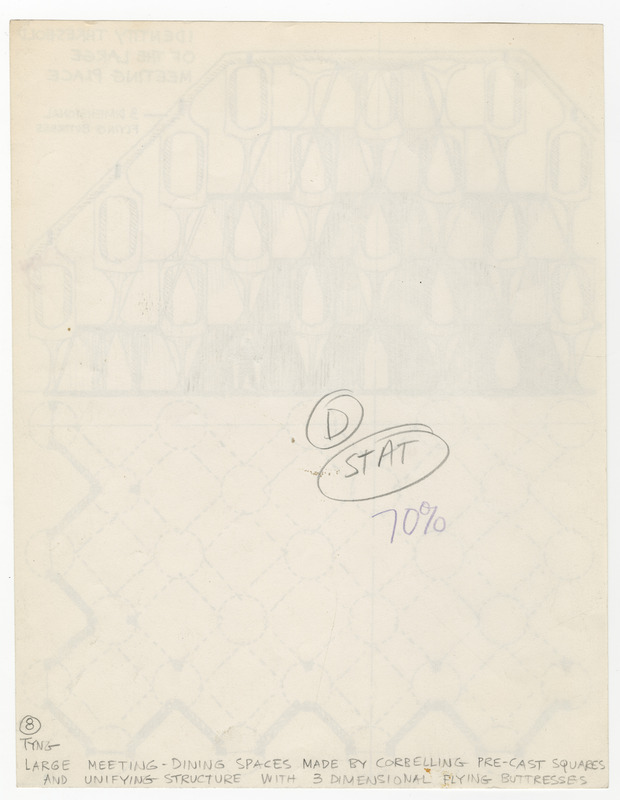 Box 1, Folder "Three Pen and Pencil Sketches"
Tyng, Anne Griswold, “Design Sketch, "Identity Threshold of the Large Meeting Place", n.d. (Ms2001-049),” IAWA , accessed April 21, 2019, http://iawaomeka.lib.vt.edu/Ms2001-049/Ms2001-049_TyngAnne_DesignSketchInk_nd.